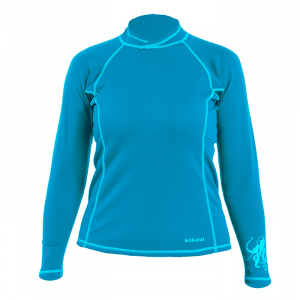 As a thermal base layer designed with women in mind, this garment offers paddlers an excellent amount of warmth and freedom of movement. A close fit further lets you get ready through effective layering, wicks moisture away, and stretches without distorting its shape.. . This product will be shipped directly from NRS and will leave their warehouse in 2-3 business days. Eligible for ground shipping only. . Made out of Polartec(R) Power Stretch Pro(R). . H2Core Lightweight fabric reduces friction while enhancing ventilation. . Four-way stretch fabric gives you full mobility and returns to its original shape. . "Touch Points" move sweat away from the skin and help it evaporate at the surface. . 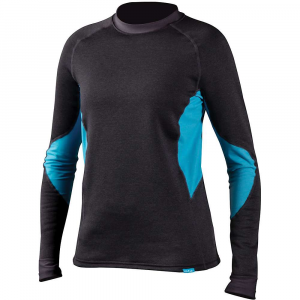 Gives unrestricted movement. . Seams placed out of the way to avoid irritation. . Volcano-style cuffs can be pulled over gaskets and dry tops. . Semi-form fit has an athletic feel and lets you layer on top. . 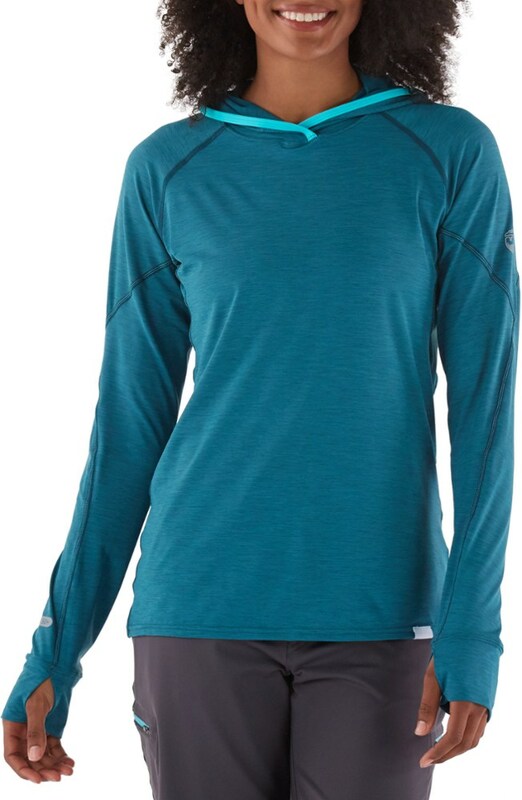 Imported. .
NRS Women's H2Core Expedition Weight Shirt - The Women's H2Core Expedition Weight Shirt by NRS will keep you warm on the water when the weather turns cold. Made of Polartec Power Stretch material, this 4-way stretch fabric follows your movements, then springs back to hold its original shape. 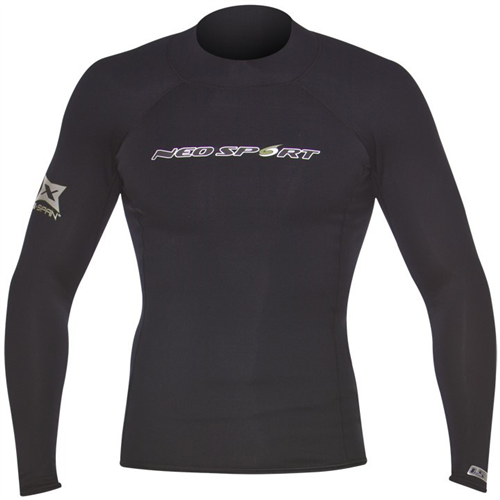 It delivers maximum warmth without limiting your movements and provides outstanding wicking and comfort. 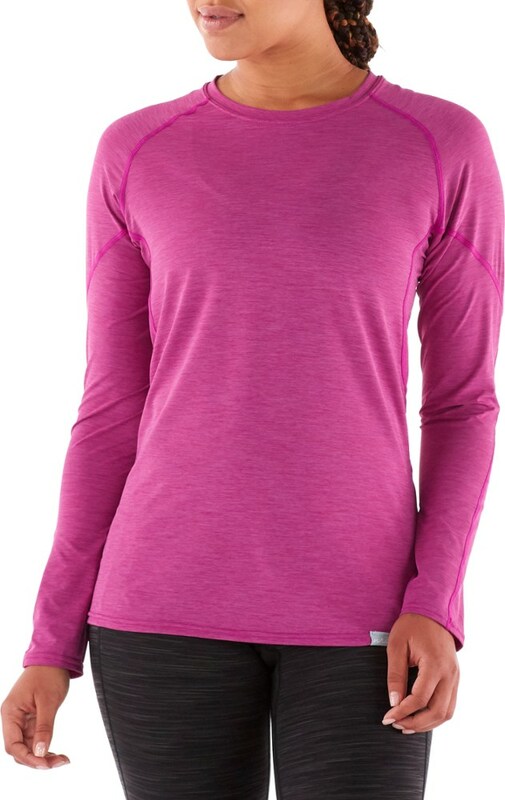 Touch points on the fabrics inner surface draw off the sweat, then it's quickly wicked to the outer surface where it spreads and evaporates rapidly, to keep you warm and comfortable. It has a semi-form fit for athletic comfort and easy layering over the top, and a paddler-specific design that allows unrestricted freedom of movement and puts seams where they won't cause irritation. 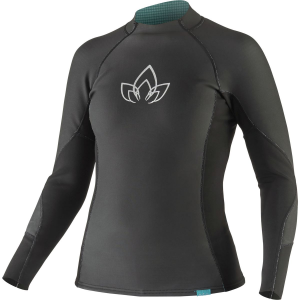 H2Core Lightweight fabric under the arms creates friction-free zones for comfortable paddling and improving ventilation where you need it most, while gasket-friendly, volcano-style cuffs and friction-free seams provide unmatched comfort under dry wear. 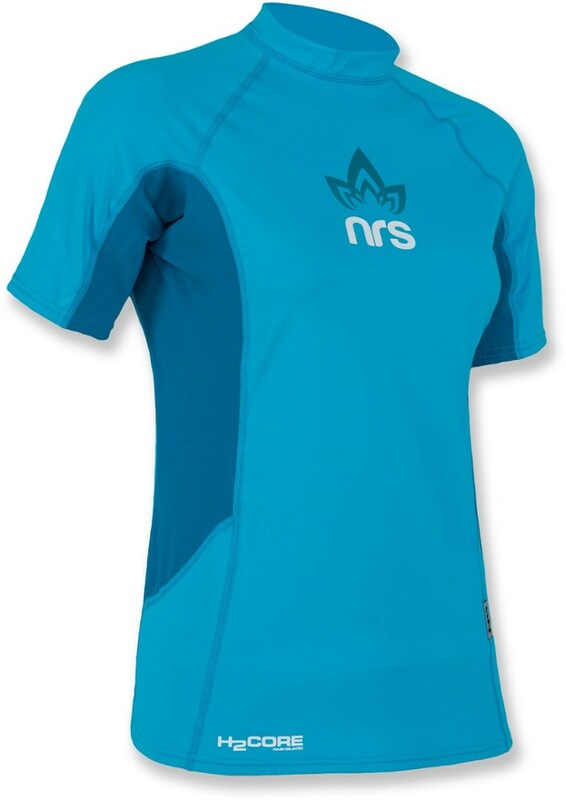 No matter how cold the outside temps get, the NRS Women's H2Core Expedition Weight Shirt will help you turn on the heat.